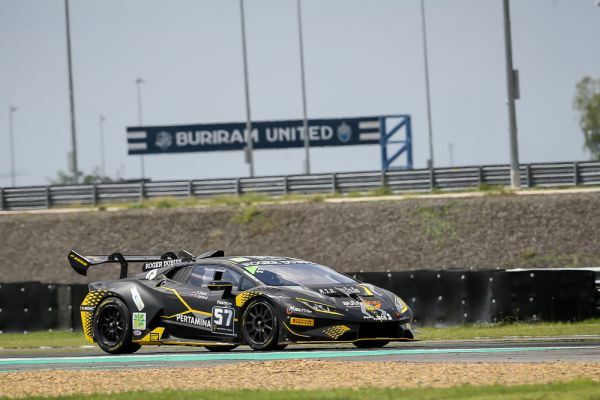 Leipert’s Ben Gersekowski and Richard Muscat stormed to victory in today’s Round 3 of the Lamborghini Super Trofeo Asia, continuing a strong weekend which has seen the all-Australian pairing top the time sheets in every session thus far at the Chang International Circuit in Buriram, Thailand. From pole position, the pair held the lead to the checkered flag, finishing 21.849 seconds ahead of FFF Racing Team’s Jack Bartholomew and James Pull and the sister FFF Racing Team car of Andrea Amici and Artur Janosz. 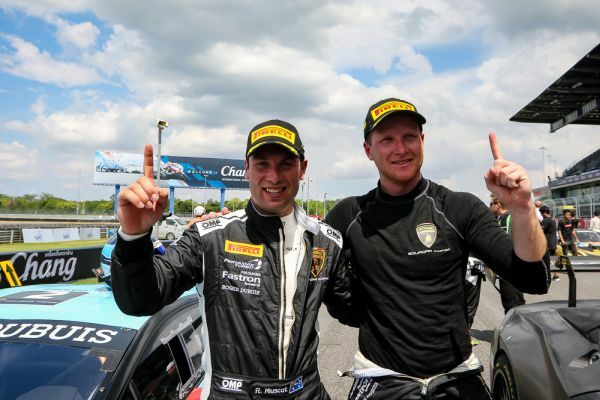 In the Pro-Am category, Leipert was victorious again, with Mikko Eskelinen and Juuso Puhakka notching up their first class victory of the season, driving from the back of the field to finish fourth overall. Second on the Pro-Am podium was D1 Racing Team’s Armaan Ebrahim and Anindith Reddy. The Indian duo had actually crossed the line second overall and first in the Pro-Am class, but a 30-second penalty for infringing track limits dropped them down to fifth overall. Rounding out the Pro-Am podium was Gama Racing’s Evan Chen of Chinese Taipei and Akihiro Asai of Japan. It was a hometown hero’s cheer for Thai driver Saravut Sereethoranakul of PSC, who finished first in the Am category in his home race. Compatriot Suttiluck Buncharoen was second in the class, as the True Visions Motorsport driver joined the series in Buriram this weekend, while D1 Racing Team drivers Bian and Han Huilin of China were third. 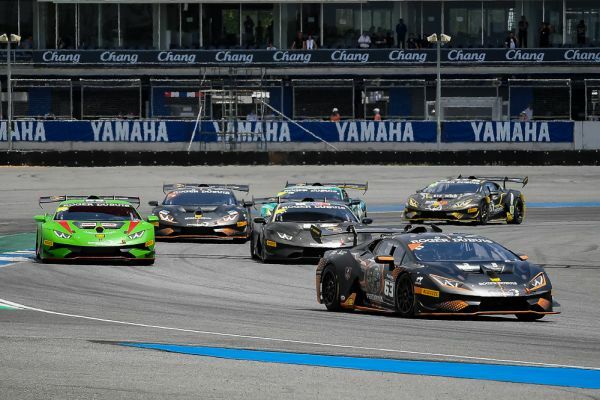 In the Lamborghini Cup, Italian Gabriele Murroni of GDL Racing Team finished ahead of Lamborghini Super Trofeo Asia newcomer Takamichi Matsuda of Japan and 852 Challengers Paul Wong and Clement Li of Hong Kong. Takeshi Matsumoto, Toshiyuki Ochiai, Chen and Asai. 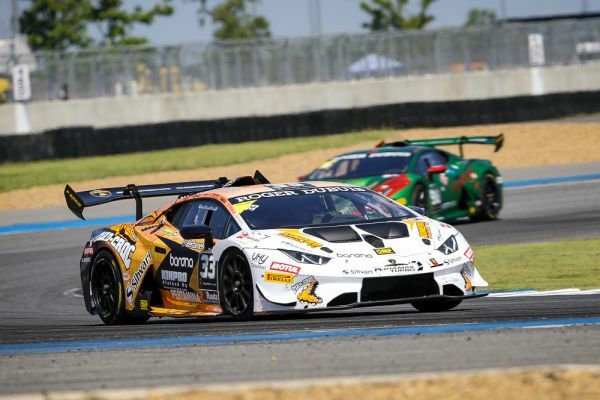 With three consecutive class victories, Sereethoranakul leads the Am Class, while Murroni, Wong and Li are all tied for the lead in the Lamborghini Cup. Having been forced to retire in each of the two opening races last month in Sepang, Gersekowski and Muscat were eager to hit the reset button here in Buriram. The pair topped the time sheets in both of Friday’s practice sessions before setting pole position for both today’s Race 1 and tomorrow’s Race 2. Gersekowski got off to a strong start, but Amici, starting from the second row, was soon alongside him and the cars were two abreast into first turn. Amici piled on the pressure, but after the second turn Gersekowski emerged in the lead and began to work on pulling a lead to the rest of the field. Amici stayed within challenging distance, with Ebrahim having moved up from fifth to third. Bartholomew was fourth in the order and Chen, who had started on the front row, was fifth by the end of the opening lap. Having made an error in qualifying, Eskelinen started from the back of the grid, but by the end of the first lap had moved up to ninth. He gained another position a lap later, before moving up to seventh. In the Am category, Sereethoranakul maintained a steady lead, while Murroni focused on staying ahead of his Lamborghini Cup rivals. During the pit stop, Gersekowski handed over to Muscat, who emerged back in the lead. Italian Amici handed over to Poland’s Janosz, but the pair fell just short of the mandatory pit stop time and were penalized with a one-second stop and go penalty, dropping them from second to fourth. With six laps to go, Muscat was now more than 17 seconds ahead of Reddy before bringing the car home with nearly 22 seconds ahead of his closest rival. The closing stages of the race saw the competitive Pro-Am class battle for position, with Asai, Ochiai and Puhakka all trying to find a way to move up the order. Puhakka climbed up to sixth and on the last lap gained another position, before ultimately finishing fourth. In the Am category, Sereethoranakul drove a mistake-free race, keeping his head down to the chequered flag for a third consecutive Am victory. Murroni, meanwhile, had built a gap to his Lamborghini Cup rivals, ultimately securing his first victory of the season. The Leipert pair of Muscat and Gersekowski is on pole position again for tomorrow’s Round 4, and will be looking to make it a perfect weekend in Buriram. Alongside is the FFF Racing Team duo of Bartholomew and Pull. The second row sees the Pro-Am pair of Eskelinen and Puhakka line up with Amici and Janosz. Sereethoranakul once again has the Am pole advantage starting on the fifth row, alongside 852 Challengers Wong and Li, who have the Lamborghini Cup pole position. “When you drive out of the pits and you can’t see anyone in your mirrors, and your engineers are on the radio saying you have a good gap… I didn’t have to do [anything] extraordinary. I just kept it straight, didn’t slide the car too much around just to save the tyres, just in case there was a late safety car and then I’d have a lot of tyre to push at the end. Ben did what we needed to do and then I just conserved, but it was quite easy for me. Bonaldi Motorsport - Lamborghini Super Trofeo, good first take! 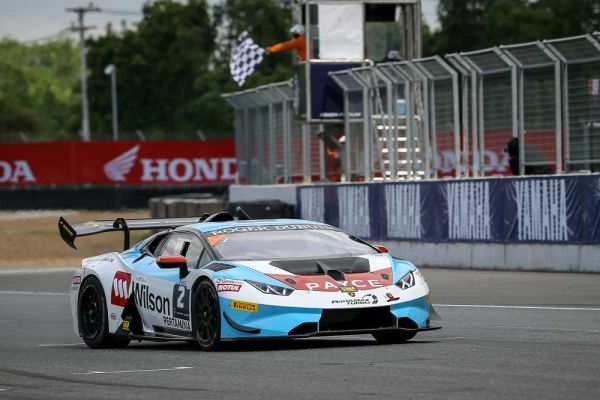 At Monza Altoè and Van Uitert start the Lamborghini Super Trofeo Europe with a victory at the "fotofinish"